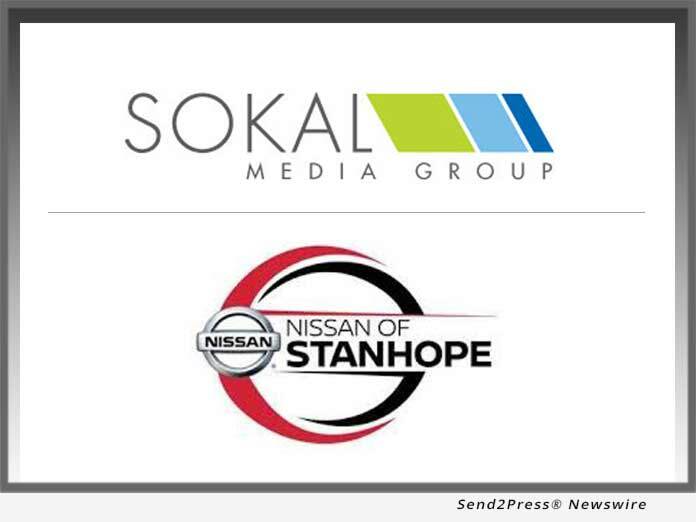 Sokal Media Group signs Nissan of Stanhope and will act as agency of record for the dealership. Starting in mid-November of 2018, Sokal Media Group will begin a program to launch new websites for the Nissan store, create new advertising campaigns, and assist in a variety of other areas of dealership business. (RALEIGH, N.C.) -- NEWS: Sokal Media Group signs Nissan of Stanhope and will act as agency of record for the dealership. Starting in mid-November of 2018, Sokal Media Group will begin a program to launch new websites for the Nissan store, create new advertising campaigns, and assist in a variety of other areas of dealership business. "Our main objective has been to offer excellent service along with quality vehicles, and now that we'll partner with Sokal Media Group, I believe we'll be able to get that message out more openly," stated Jim Desimone, general manager of Nissan of Stanhope. "Sokal and his team appear to have a good handle on many aspects of auto dealerships and how they function. I'm anticipating a very good outcome."